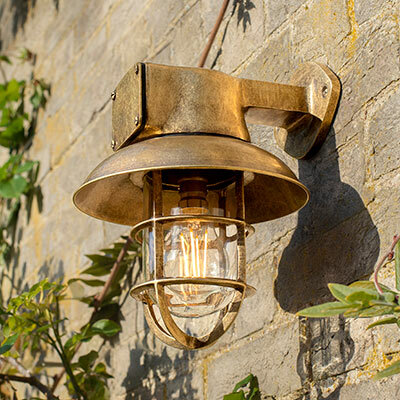 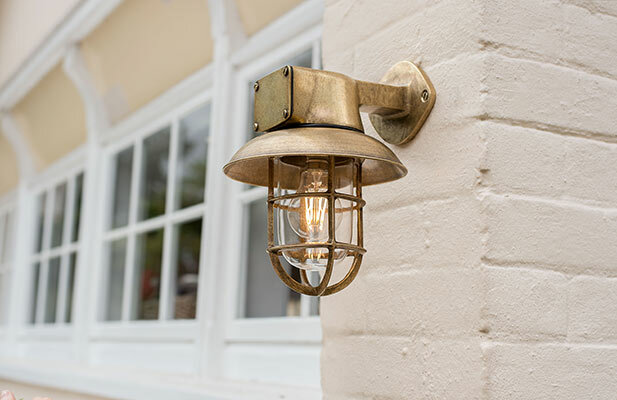 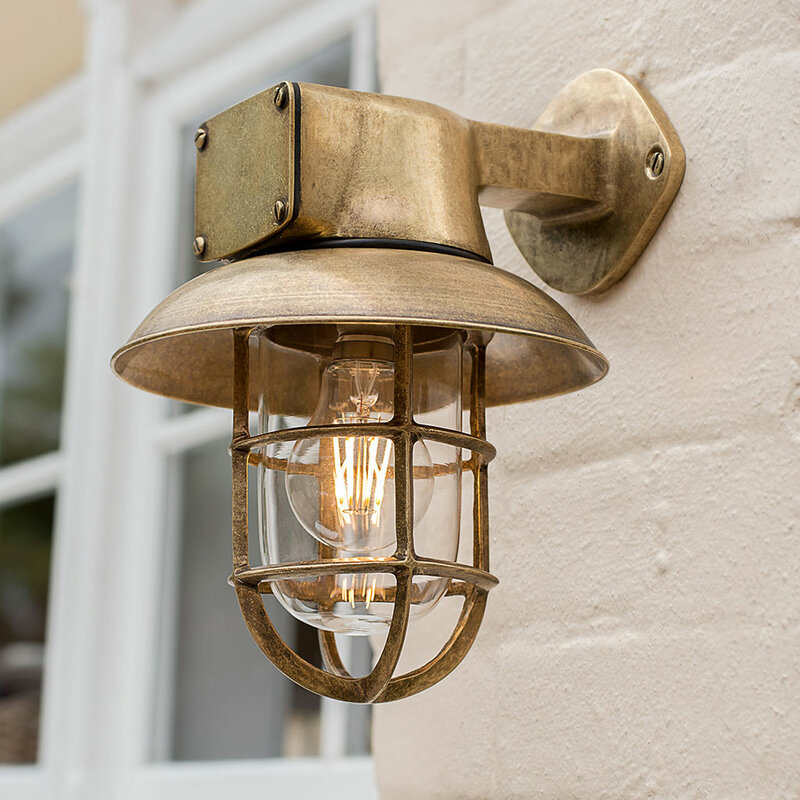 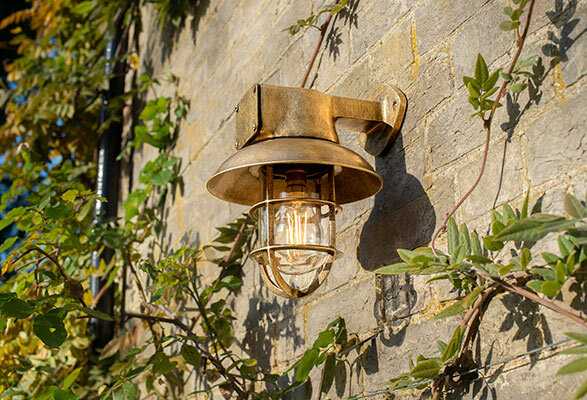 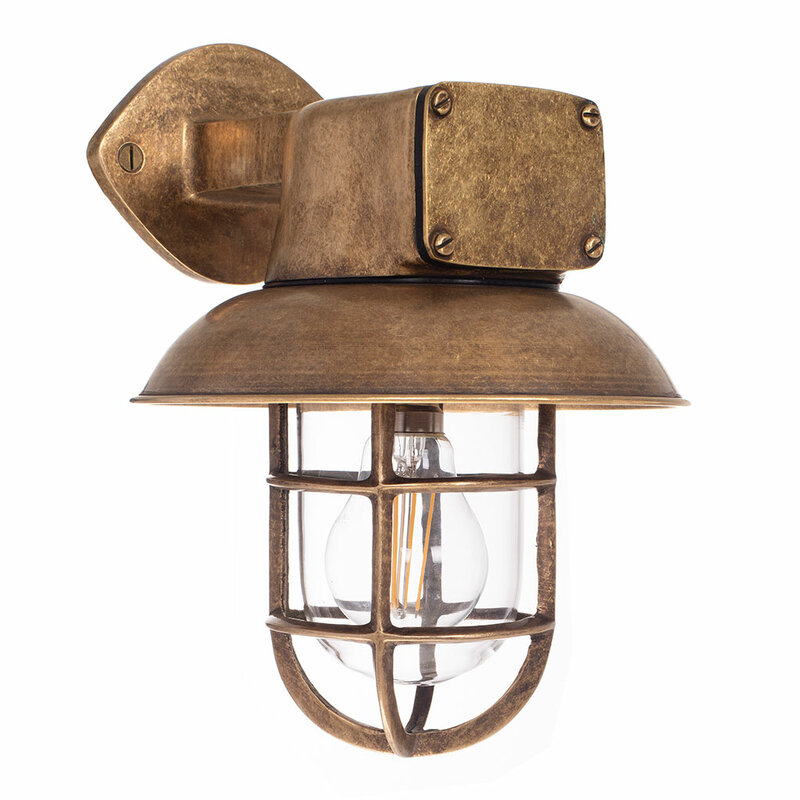 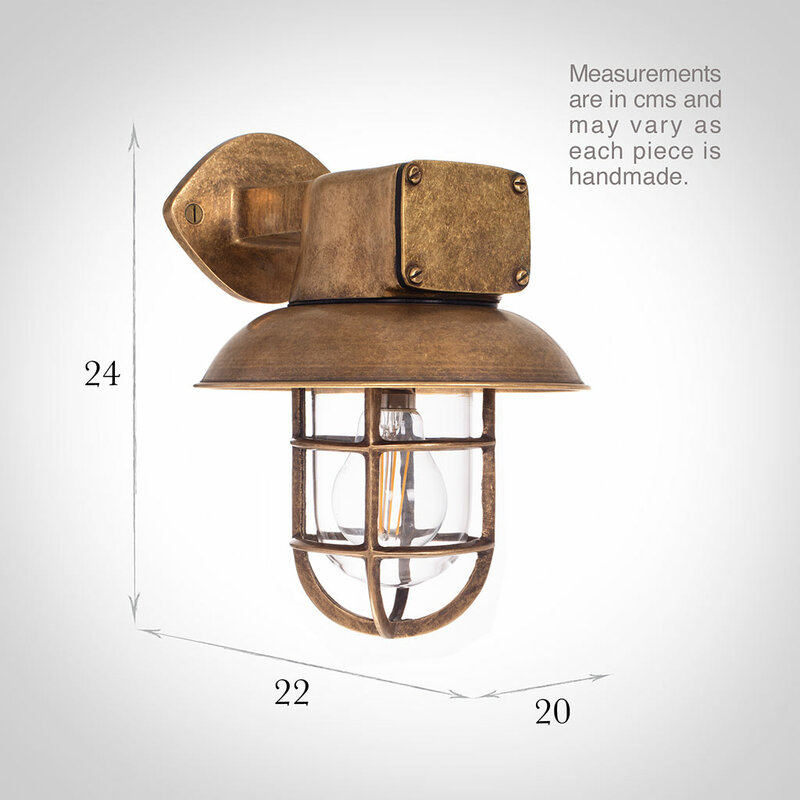 A small outdoor lantern, hand cast in solid brass which will enhance your home with its slightly nautical good looks. 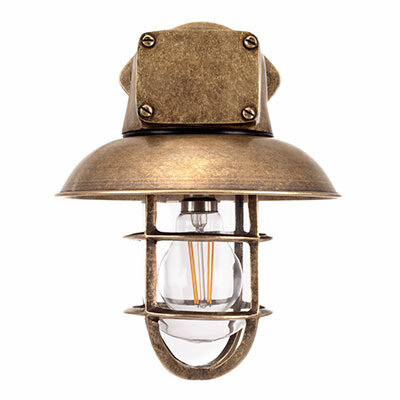 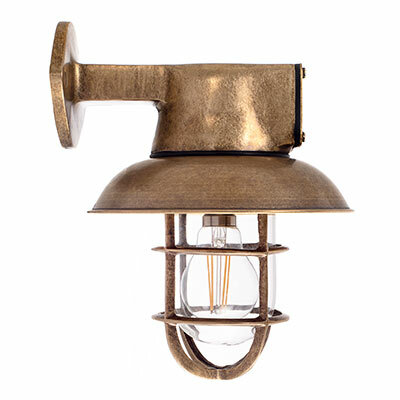 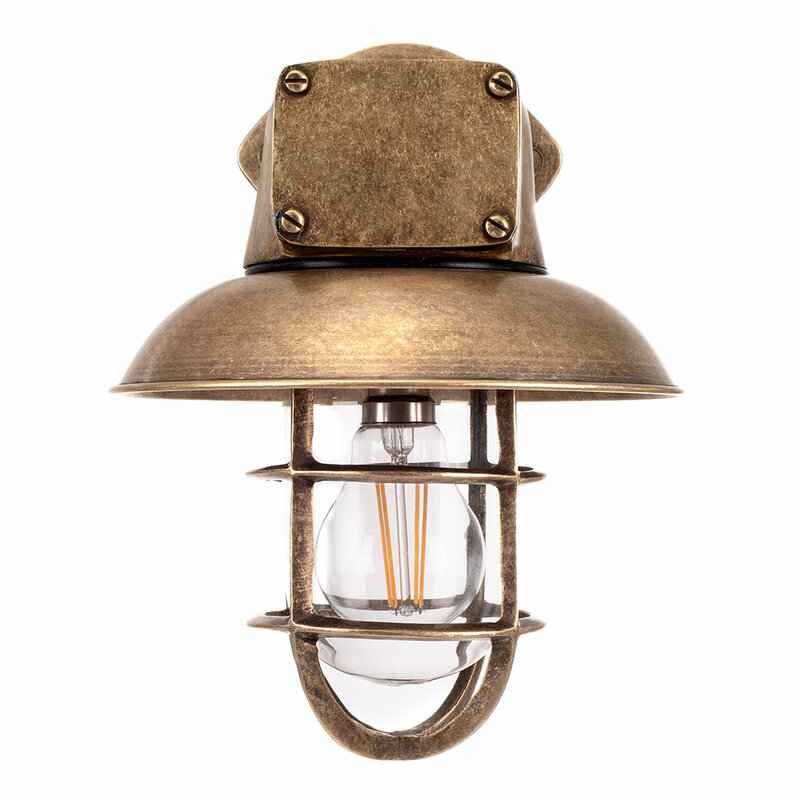 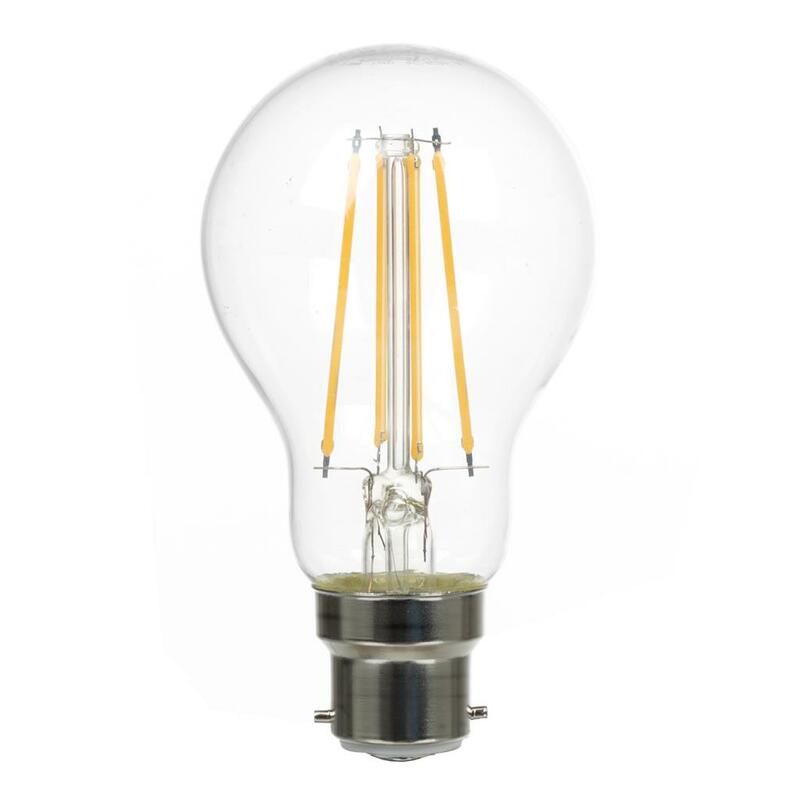 This Britannia Ship's light has a beautiful brass top and a cage design around the glass. 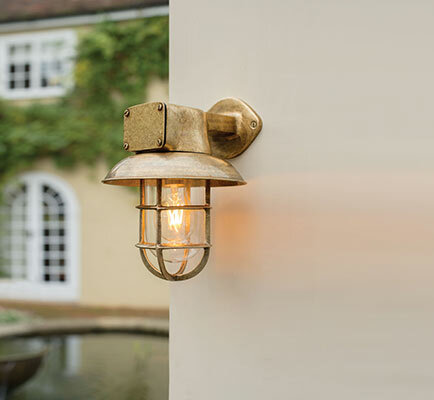 The brass is lightly antiqued to finish off the look perfectly.